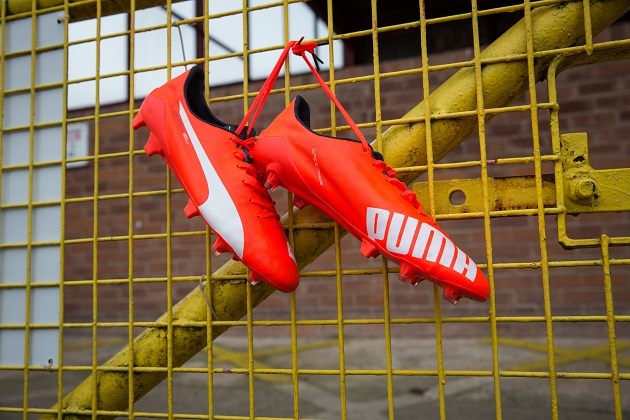 Like a feather in a soft breeze, the lightest ever Puma boot has touched down. At just 103 grams, the Puma evoSPEED SL will certainly get some double-takes, both for its lightweight nature and the highly transparent marketing from Puma. 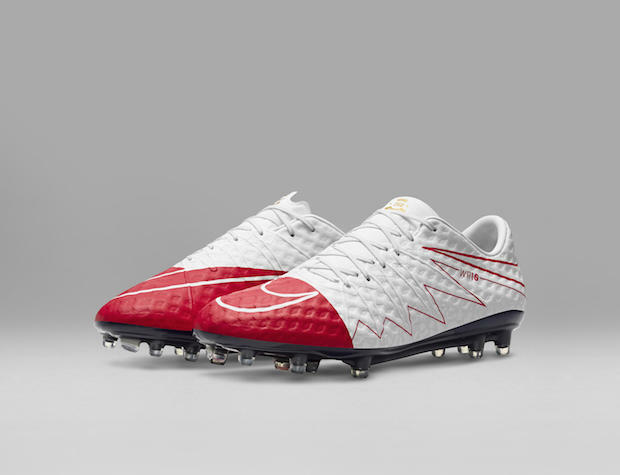 In a basically unprecedented move, the evoSPEED SL will be promoted as a “match-day only” boot with a 10-game limit. It has not been designed to last much longer than that. We’ll get into the specifics of this controversial decision in a minute, but first let’s crack the seal on the new boot. 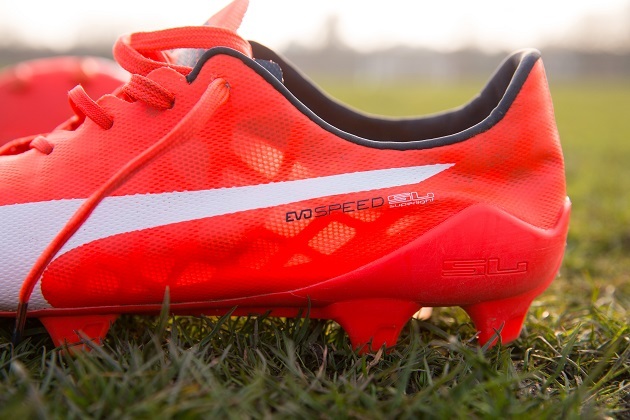 This is the first iteration of the evoSPEED 1.4, so we have new tech to discuss. It’s unclear now how different a non-SL version will be, but this release has a few notable changes from the 1.3. First, the upper features a laser-cut SPEEDFRAME, which provides support when you burst forward or make a quick lateral turn. To keep the weight down, Puma have employed an ultra-thin textile upper that blows your mind with its lightness when you hold these. The most noticeable alterations arrive on the outsole. Raised SPEEDTRACK spines improve stability and support, as well as a light base underneath your foot. Also, a new stud configuration brings a mix of conical and bladed studs for a more speed-friendly setup. 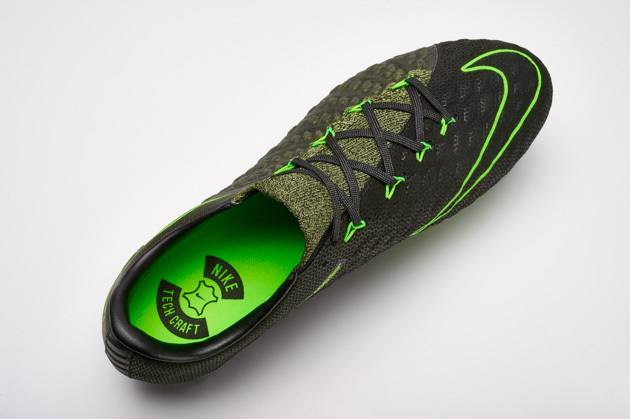 The last evoSPEED edition had an all-conical soleplate and four on the heel. Here, Puma only have installed two blades on the outside of the heel and one rounded stud on the inside for easier turning. As usual, your main Puma evoSPEED guys will be slipping into the 1.4 soon: Sergio Aguero, Radamel Falcao, and Marco Reus. In Lava Blast, the evoSPEED SL has a bright punchy red that should light up your TV screens when worn by the pros and your local field when worn by you. The blue lining on the inside and tongue is a nice touch, as well as the white Puma logo on the instep and stripe on the outside. At just 103 grams, it comes in a tad heavier than the recent adidas adizero 99g, which was released in mid-April as the lightest cleat ever. 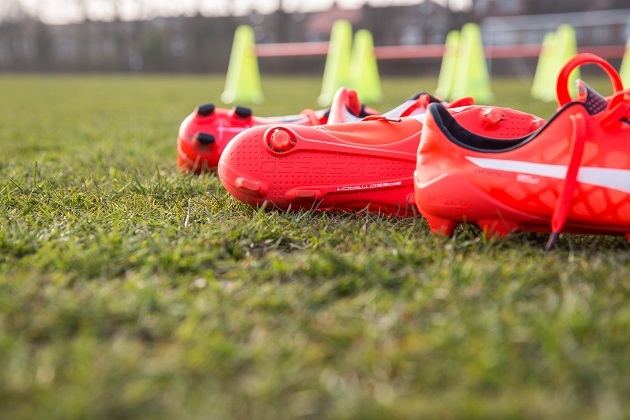 The evoSPEED SL is not for training days. It’s for your best days. Your match days. It may only be used on real grass. 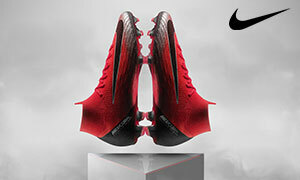 Due to its extremely lightweight design, it’s expected to last up to 10 games. But the moments it creates will last forever. Interesting, to say the least. The adizero 99g didn’t have this kind of warning, but surely a boot even lighter would be just as susceptible to breaking down in the same amount of time. So the question becomes: Do you applaud Puma for their openness and honesty or rip them for selling you a boot that could rip itself in less than a half a season? It’s important to note that the adizero 99g and Camo 3D were limited releases, whereas this evoSPEED SL is not. 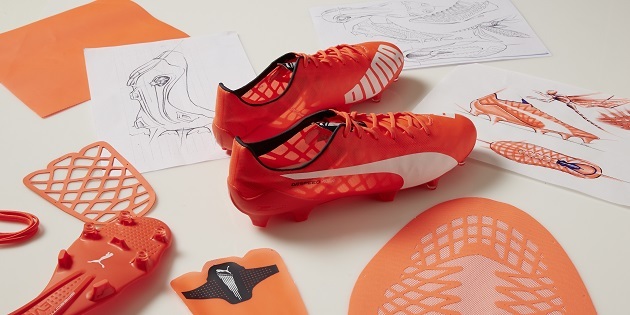 This means Puma is taking a giant chance on the attractiveness of a premium matchday boot like their new evoSPEED SL. The price is $240 retail (or $215.99 at SoccerPro), so we’re talking almost $25/game here. The tech and design look truly impressive on this release, but the real fascinating part begins when testing starts and we can see just how long these boots can last. 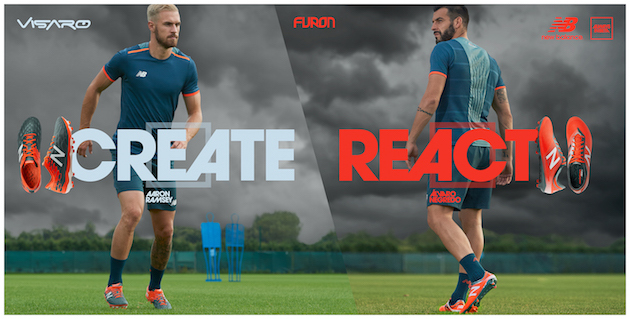 Moving forward, this could decide how transparent these companies are with their soccer footwear. Do consumers even appreciate marketing honesty like this? We shall see.